Once a small business has scaled beyond two or three personnel, likely it’s time to buy a server computer for the office. Depending on the context, the term “server” may refer to server hardware, software, or the functionality of either or both. As with any equipment purchase, the logical place to start is with one simple question: what problem do you want the server to solve? Your first choice when it comes to servers is whether or not you actually need one physically in your office. For businesses tight on space, introducing a business server may not be the best idea. Leasing a server on the cloud sometimes makes more sense—especially for small businesses that don’t have a robust IT infrastructure. However, there are limits to what you can do with a cloud-based server. Cloud servers are ideal for when businesses are first starting out. However, cloud costs grow as a business adds headcount. Monthly costs accumulate as data grows. Eventually, business sense says to bring some server infrastructure in-house. If you’re at this point, you’ll want to scale up not scale out with your infrastructure, which means using a combined, hybrid approach to your data architecture. If you decide that you definitely need the server on premises, then you should choose whether to assemble a server in-house or to purchase a pre-built. Building and buying both have their advantages and disadvantages. Buying a server gives you plenty of value from bundled software, warranty, and support from a brand-name manufacturer. Building a server, on the other hand, gives you the opportunity to custom-tailor your build so it’s tuned to the application you’re deploying. Deep dive: The pros and cons of building vs buying servers. Keep in mind that purchasing a pre-built server may still require you to physically build out the system—certain SKUs may not include hard drives, memory, or optical drives. You may need to install them in-house before acclimating them to your environment. Servers: Build or Buy? Let’s discuss the pros and cons. How does server hardware determine function? Servers do an amazing range of tasks. Does that mean one type of server is better than another for specific functions? Yes and no. Certain hardware specifications lend themselves to various tasks. At the hardware level, a server shares much in common with a standard PC. It’s helpful to think of servers as computers that dish out resources for other computers to use in order to illustrate the relationship. Server components differ in that they have extra features for 24/7 operation. For example, ECC server memory has error-correction firmware built into the controller is an extra protection against downtime. 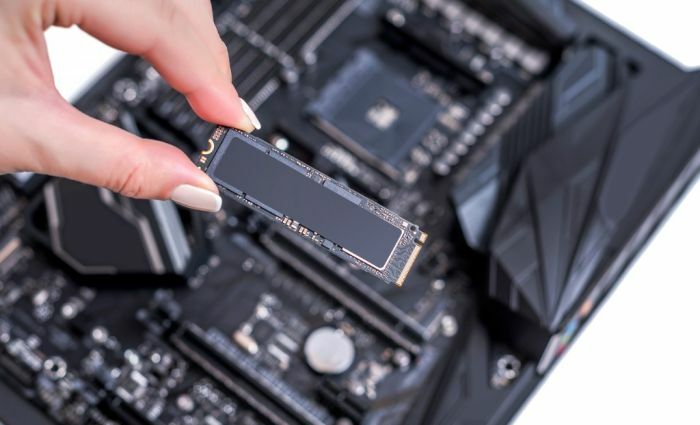 Additionally servers may have backup hardware components encased in the build—a redundant power supply, central processor, or hot-swappable drive bays—if one part faults out, backups step up and keep the data accessible for users. What is the server hardware doing? Server resources tie closely to three specific types of hardware: hard disk storage; CPU size—number of cores, and to a lesser extent, clock speed; and the capacity of onboard server memory (RAM). A file server will have multiple bays for hard drives since it’s primarily used for storage. A database server that handles lots of user queries benefits from a large (12- or 16-core) CPU. Web servers and application servers have framework-specific requirements you might reference, usually the number of users querying or writing to the database affects how robust you should go with the hardware. Sharing assetswith file server, or network attached storage (NAS) appliance across a local network or as so-called private cloud storage. Look for: multiple hot-swappable drive bays, configurable hardware/software RAID options; a low-power CPU should suffice. Providing database services to other servers. Applications and websites are built upon a database layer which is often stored on its own server. Development and non-user specific tasks like data analysis, mining, archiving, and storage using Oracle, MySQL, MS Access, and similar applications utilizes this server hardware. Look for: hard drives rated for fast writes; deploy an identical backup ‘slave’ server as a read-only database. Hosting a website with a web server. Web servers use HTTP to serve files that make up web pages served to users browsing a website. Web servers work in tandem with a database server. This may occur within the same physical hardware server, or by using two servers networked together. Look for: hardware redundancy especially if you host e-commerce. Increasing server RAM capacity benefits performance under load. Providing e-mail services with a mail server. Messaging servers, like Microsoft Exchange, use specific protocols (SMTP, POP3, IMAP) to send and receive messages. Dedicating server hardware to this task is recommend for optimal operation. Look for: similar specifications as a file server. Controlling shared peripheral equipment, like a printer. Low-power specs will suffice. You might repurpose and old PC as a print server if you have one. Running shared softwareon an application server. Centralizing applications their native framework (Java, PHP, .NET, various flavors of .js) improves performance under heavy usage, makes updates easier, and reduces TCO for maintaining tools organizations use for productivity. Look for: enterprise-grade storage bays (SAS hard drives) and ECC RAM. Note that un-virtualized instances tend to work better for development. Servers come in several different physical form factors that can be classified into three umbrellas: tower, blade, and rackmount. The form factors are determined by the server case; you’ll find the same components on the inside of comparable models. Tower – A tower server resembles a regular desktop computers—except that they have server components inside. Same as their PC cousins, towers come in several different shapes. These make sense as first servers because they can offer plenty of processing power and don’t require you to purchase additional mounting hardware. The drawback of tower servers is that they take up more room than either rackmount or blade setups once you start adding more. Rackmount –Rackmount servers need to be installed onto a rack chassis. A chassis, typically several feet high, can hold multiple servers on top of each other in slots. Consider rackmount units when you have several servers and want to consolidate them into a smaller space. Blade – Similar to rackmount servers in that they require a chassis to be installed. Blade servers are even more space-efficient than rackmount servers. 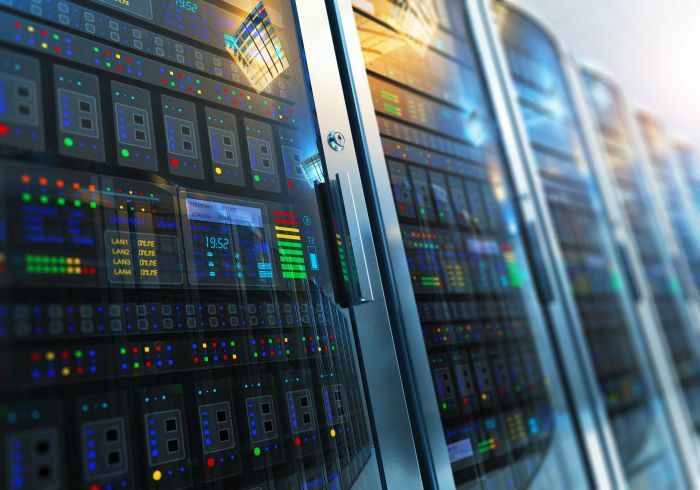 However, properly cooling blade servers can be more challenging; consider these when your server closet scales into a server room. They are an even bigger investment than rackmount servers. When you use a computer in client/server architecture, the server operating system (server OS) is designed specifically for making sure computing power is distributed appropriately to the endpoint machines on the domain. Configuring the server OS is what enables a server computer to act in various roles of deployment, as a mail server, file server, domain controller, web server, application server, and so forth. Think of a server OS as a more advanced and stable operating system than a desktop or mobile OS you would use on a client computer. A server OS supports more RAM, is more efficient with CPU power, and supports a greater number of network connections. They provide administrators a main interface for authenticating users, managing applications and file storage, and setting up permissions and other administrative processes across the domain. There are dozens of server operating systems. Proprietary server OSes like Windows Server, Ubuntu Server, CentOS, and Red Hat Enterprise Linux are some of the more popular choices for running medium-size business domains. Plan ahead five years when assessing your server needs. It’s a waste of money to outgrow your infrastructure before end of life. Choosing a business server workstation, especially your first one, can either improve the way professionals carry out their tasks or be a potential bottleneck. If they don’t have enough storage bays, you may easily find yourself rushing to purchase another machine with even more drive bays. You can avoid both overpaying and bottlenecking your office simply by allowing your organizational data room to grow. The SMB server buying guide was first published in Feb. 2016 and is updated subsequently at the beginning each year. Looking for a small business server? We go over how to choose a server workstation, whether it is your first or fifth server. Is this link even relevant ? i see 2 GB memory etc. I just feel myself on the time machine and George Bush being our new president.